You are here: Home / Blog / Home Automation / What Is Home Automation, Really? Just a couple of years ago, the idea of an entire home that could be controlled with a single remote or a voice command was still science fiction. With the pace of technology speeding up and the everyday use of tablets and smart phones, home automation is now as simple as a mobile phone app. Most people have long become accustomed to the daily grind of flipping switches and starting appliances, but the strides in technology have changed that drastically in the last couple years. 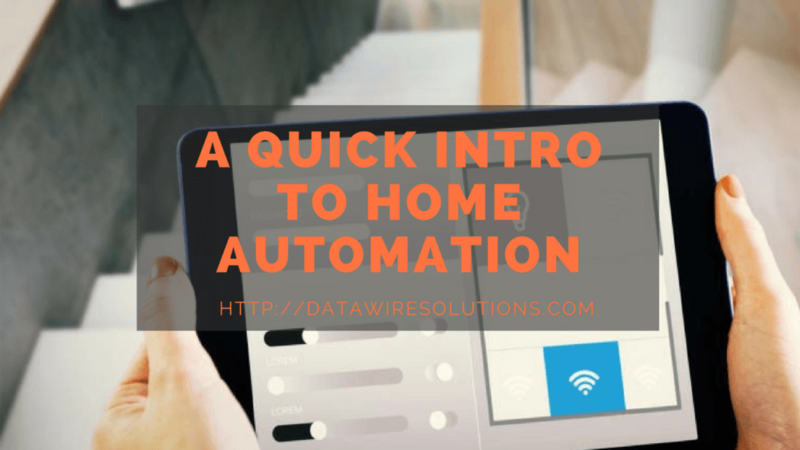 By automating your home with smart switches and outlets, it is now possible to control lights, turn on and off appliances, and even heat and cool your home from a remote app on your smart phone or tablet. The appeal of automation is rooted in the ease and control it provides, without the complication of rewiring your house or purchasing budget-breaking equipment. The advances in technology have come with more choices and brands, which has brought down the prices of these tools while heightening their simplicity. You no longer have to be a millionaire to enjoy the perks of home automation. The nature of automated outlets and switches require a tablet and phone, and once these items are purchased, you will be given access to a free app to control them. Once installed or in the case of smart outlets, just plugged in you have the choice of manual or automated control over lights, entertainment systems, and appliances throughout your house. It is possible to brew your coffee before you get out of bed, turn on your lights before you walk into the house, or dim the lights without fussing with knobs. Some smart light switches allow you access to multiple lights from one switch panel and give you the capability to adjust your lighting as needed without moving from switch to switch. Last year, Amazon added to the definition of a smart house with the production of the Amazon Echo. The Echo functions almost entirely on voice control and is compatible with many smart switches and outlets, allowing you to take the extra step into the future and run your house with simple voice commands. One of the most attractive ideas behind having a smart home is the act of designing a home that can be adjusted to fit your personal desires and schedules. While apps allow for manual control, you can also program your app to control your home when you are unavailable. By setting up a schedule, you can automate tasks such as brewing your coffee before your alarm goes off or turning on the lights in your house when the sun goes down. And the best thing is, you don’t even have to be home to do any of it. Intelligent households have not only offered simplicity in your tasks and needs at home, but they have revolutionized the concept of home protection systems. With the help of apps and your smart phone, you can see what lights have been left on at a glance, lock and unlock your doors, and even observe a video stream of your household. Some systems even offer a more in-depth look at your living environment, alerting you to water leaks or someone entering your home unexpectedly. While these intelligent systems can provide support and convenience while you are at home, they can also offer a new sense of security while away from home by giving you the opportunity to observe your house without physically being there. All it takes is the easy install of an automated outlet, and you will never have to worry whether or not you left the iron on again. Technology is starting to catch up quickly to the dreams of the future, and it is bringing simplicity into homes and lives. 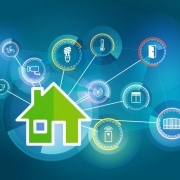 Turning your home into a smart one will offer a new level of control and security. It will also allow you to work with your home to make it a convenient and safe retreat away from the hustle and bustle of everyday life. If you need help coming up with the perfect home automation project plan, please let us know by calling (914) 315-4280 or leave us a message here, and our home automation experts will call you back to schedule a free consultation. https://datawiresolutions.com/wp-content/uploads/2017/02/Home-Automation-Westchester-NY.png 720 1280 skynandi https://datawiresolutions.com/wp-content/uploads/2013/05/data_wire_solutions_logo.png skynandi2017-02-08 16:36:572017-02-08 18:03:05What Is Home Automation, Really?